NOPE. I’m not sick of them. They’re just so juicy and creamy. You can’t say no to them! They’re also really easy to make! As Kitty would say… There’s no baking involved, just boiling! Oh, That ’70s Show, how you crack me up. You just need two ingredients… and water. 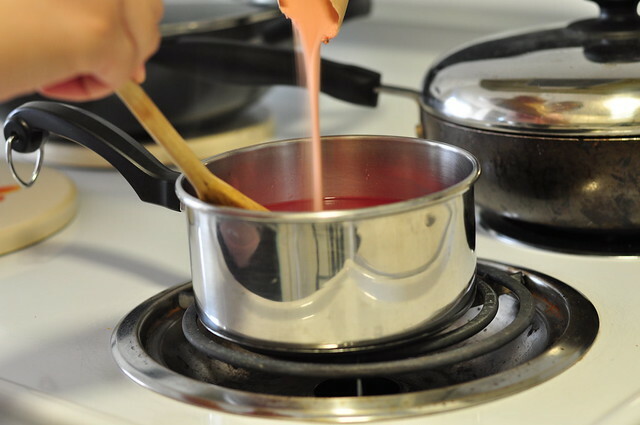 Once the water is boiled, pour in the Jell-O mixture and the heavy whipping cream. 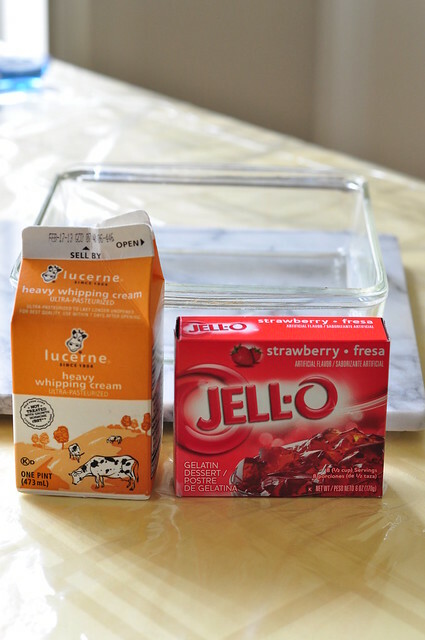 You can also add a packet of unflavored gelatin here. Why would you do that? Well, this will make the Jell-O more firm and easier to handle. It will also make it easier for putting the said Jell-O in your mouth without it falling out of your hands. That would be disastrous. You can totally make these without the extra gelatin. I did, and they turned out just fine! 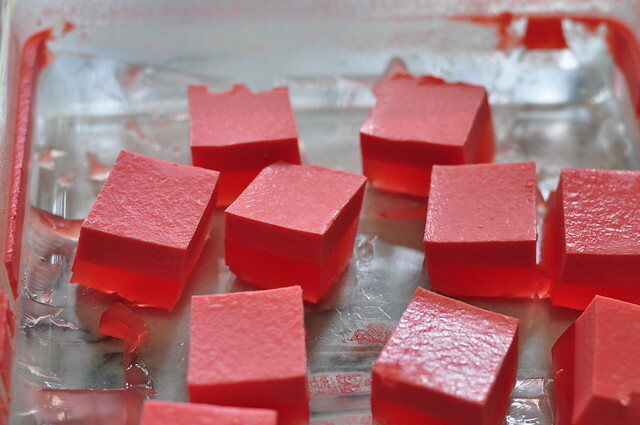 I hope you enjoy this very easy, but satisfying, recipe for Jell-O. Make the Jell-O as directed on the package. Once you have the mix in the water, pour in the heavy whipping cream and mix until combined. 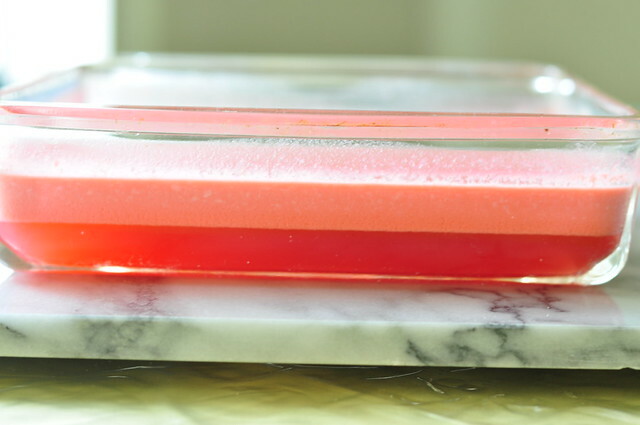 If using the unflavored gelatin, add it here. 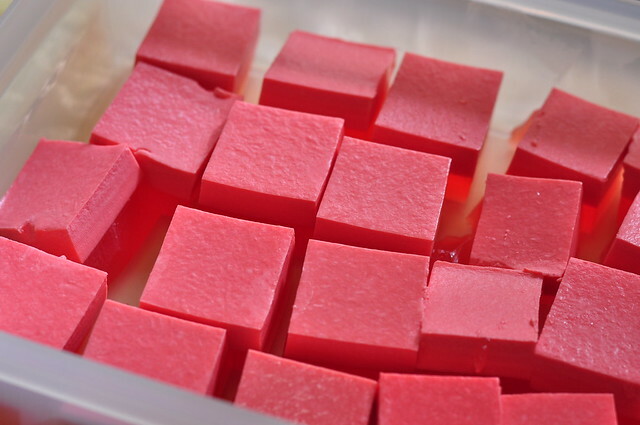 This will make your Jell-O more firm. Pour into the baking dish and wait for the cream to rise up, about 2 hours. Move to the fridge and chill for 4 hours, or overnight.